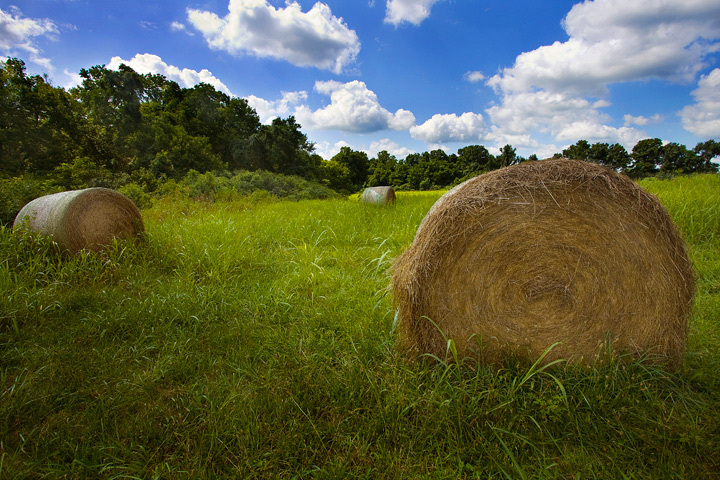 This is a hay field on the grounds of the Carnton Plantation which is located just 7 miles south of Nashville, TN. It's in a wonderful little town called Franklin. I'm sure they keep these bales in the surrounding field to create ambiance at the historical site. The composition is good and the exposure is well done. I would have like to have seen alittle more contrast in the grass and hay, but I'm being picky. Overall, its a good shot. Nicely lit, you achieved a great balance with the ambient. Not the most inspiring subject, but marks up for the technique. Proudly hosted by Sargasso Networks. Current Server Time: 04/25/2019 11:44:49 AM EDT.